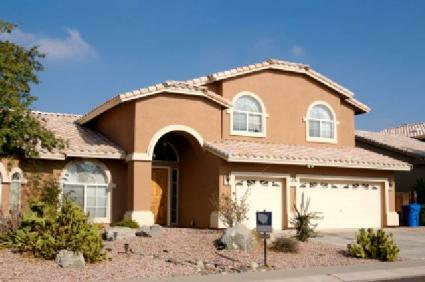 Arizona is one of the top five states for highest number of foreclosures. Arizona has a high number of foreclosures when compared to some of the other states within the United States, and Pima County foreclosures are a large portion of the foreclosures within this state. Although a high number of foreclosures is not the optimum scenario for any county, this can work to the advantage to potential buyers who want to purchase a home at a greatly reduced cost. Eager borrowers financed more than they could afford. Interest rates went up, leaving some borrowers of adjustable rate mortgages (ARMs) with much higher mortgage payments. Market values plummeted, leaving people owing more on their mortgages than the homes were worth. All of these factors, in addition to other factors, lead to a large number of foreclosures. This is especially true to large metropolitan areas where the market values of homes are inflated above rural locations. Tucson is not the only city within Pima County with a high incidence of foreclosures. Vail, Marana and Sahuarita all have foreclosures within city limits as do other cities within this county. Searching for Pima County foreclosures is relatively simple. Potential buyers can utilize a buyer's agent or Realtor to conduct the searches for the clients. You can find a qualified Realtor in Pima County by searching through the Realtor database for this area. RealtyTrac offers a long list of foreclosures within the county including pricing information and photographs when available. Foreclosure.com lists foreclosures within the county and classifies the listing by status, such as sheriff sales, preforeclosures and tax leins. The U.S. Department of Housing and Urban Development (HUD) maintains an online database of foreclosed homes available for purchase. Search this database by zip code or county for an appropriate home. Mortgage lenders often maintain foreclosure databases online, so if you have a preferred lender within the Pima County are you should check to see if a foreclosure listing is available directly from the lender. There are many other websites offering similar information, but the validity of the information should be verified before a bid is placed on a foreclosed home. If you live within Pima County and are facing the possibility of foreclosure then it is important to seek out help as soon as possible. With such a high saturation of foreclosures within this county, there are helping agencies prepared to assist homeowners in keeping their homes. There are also agencies available to assist homeowners in navigating the foreclosure process if it isn't possible to keep their homes. Family Housing Resources is a HUD-approved housing counseling agency, providing guidance to homeowners facing possible foreclosure. http://www.cplctucson.org/ Chicanos Por La Causa is a HUD-approved housing counseling agency that can provide foreclosure guidance to both English and Spanish speaking Pima County residents. Arizona Law Help offers a program featuring lawyers working on a volunteer basis to assist homeowners in negotiating new payment terms with lenders in an effort to avoid foreclosure. The State of Arizona's Department of Housing also offers a toll-free hotline for homeowners facing foreclosure: (877) 448-1211.